Think about your last trip down the highway… the last time you tried to switch lanes, then suddenly had to swerve back because someone in your blind spot was coming up, fast. Not a great feeling, was it? You know, aside from the relief of not getting killed…. Now, think about another kind of a blind spot, the kind that’s been uncovered in your own life—something good or bad that you were incapable of seeing. What (or who) helped you finally discover it? Why do you think it stayed hidden for so long? Almost all of us have had blind spots in our lives that God’s unveiled to us, and in many cases He’s used others who care about us to reveal those things. It may have been a wonderful a-ha moment for us, where the light suddenly came on. On the other hand, it might have been painful or even made us angry at first, but once we’d gotten past our reactions we realized we’d been done a huge favor. And we’re called to return the favor. Perhaps the most critical role in growing others is getting them past their blind spots, so they can see the people God’s created them to be, and finally get on with becoming that person. So let’s reflect again on those times when God’s brought change into our lives. What are some of the ways God’s used to get through to you—including ones others have used with you as they were led by God? Write them down, if you have paper handy. Then reflect on your list. It’s likely you’ll see a variety of ways that the light has come on in the past—and you’ll probably be surprised in the future, too. After all, if you weren’t surprised, it wouldn’t be a blind spot. God will use anything and anyone to get through to us. And that’s because, for many of us, our biggest blind spot is the inability to grasp how much God loves us. But the truth is, God is cheering us on. He’s pushing us forward. And God is committed to helping us overcome every obstacle we face—even when that obstacle is us. God doesn’t have our limits, but He wants us to trust Him to overcome those limits we have—or, often more to the point, the limits we’ve placed upon ourselves that God never intended to be there. And now, answer this question both scripturally and experientially: Who are you in Jesus? In other words: What does God tell you through his Word, and what has God shown you about the person He’s created you to be? One more passage: “And he who searches our hearts knows the mind of the Spirit, because the Spirit intercedes on behalf of the saints according to God’s will. And we know that all things work together for good for those who love God, who are called according to his purpose, because those whom he foreknew he also predestined to be conformed to the image of his Son, that his Son would be the firstborn among many brothers and sisters…. If God is for us, who can be against us?” (Romans 8:27-29, 31, NET). • How does understanding how God sees us, and knowing He’ll use whatever we give Him to work with, help us move past whatever we’re facing in life right now? • How can seeing and remembering God’s love and power in your life help free others to see it in their lives? This blog is dedicated to helping others grow into the people God’s created them to be, just as God’s already grown us. But we’re always growing, too. There’s always new challenges we need to face and allow God (and others) to help us through. And sometimes things we’d thought we’d overcome return to haunt us in a different way—or even in ways we thought we were done with. There’s a good chance you’re facing a situation right now, where you’re wondering what God wants you to do next. Therefore, let’s step back and reflect: Is there an area where you’re having problems continuing in Christ’s love right now? Lord, we’re willing to change. Change us, as You need to. If we’re in the right place right now and just need to see that, show us. 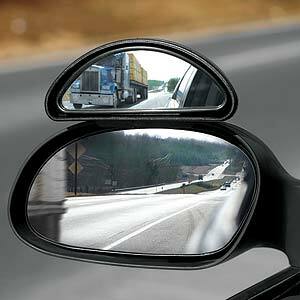 If we’re not, show us our blind spots. Use those people we care about to help us see Your hand. Lord, guide us. Help us to only take on what You want us to take on. Help us to see everything as an opportunity for growth, no matter what the earthly outcome is. You love those we love far more than ever can. Help us to see that their lives are already in Your hands. Use us as you see fit. Help us to let go when it’s Your turn to work. Help us each to experience the love of Jesus, even though we can’t understand how truly great that is. But begin to complete us in all the fullness of Your life and power. And help us to trust that Your mighty power can work within and through us, to accomplish infinitely more than we might ask or think. Lord, help us to trust You with every part of our lives, and helps us to love others the way Jesus did—and does. Amen. This entry was posted in Uncategorized and tagged discipleship, growing out, identity in Christ, mentoring, spiritual breakthrough, spiritual friendship, transformation. Bookmark the permalink.